I had the covers pulled up to my neck, like always. It was pitch black, and I’d just told Johnny “Goodnight!” But then I rolled back over. “Hey Johnny, guess what?” “Hmm?” he replied, sleepily. He’s notorious for taking mere seconds to fall asleep. “Tomorrow starts a new month, which means a new chance for a clean slate!” “Oh… yeah… cool. Goodnight.” For some reason he wasn’t feeling my excitement. Well, understandably so, I guess. It was just the first of September, after all. There’s nothing momentous about that. Unless you’re me, of course. I love the start of a new month because it’s another chance to change, be better. And it can be anything: waking up earlier to exercise, going to bed by 11:00 (this is quite a feat in this household), starting a new craft project, starting a……. BUDGET! On August 1st, after the craziness of moving, our budget was admittedly suffering. August 1st brought with it a determination from Johnny and me to track every single cent of spending, whether good or bad. And there was some (planned) badness that occurred, folks. We spent more than usual on groceries because we had to stock a completely barren kitchen. And due to less storage at this new place, we had to purchase some storage solutions for our bedroom and office. We budgeted an amount to spend on those items, and we stayed within it. But it was still more than we usually spend in a given month. But we tracked every cent of it. And it felt great. 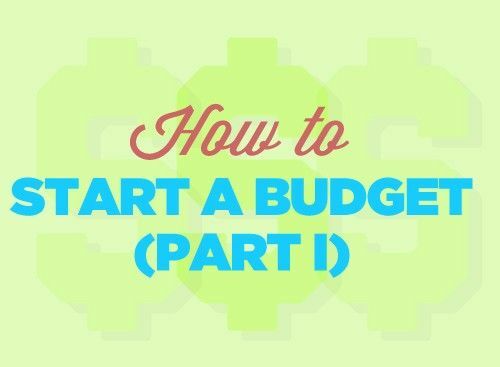 And so if you’re on the cusp, thinking it’d be nice to start a budget, but wondering whether you should, or whether it’s worth your time, or whether you even need one at all (the excuses are endless), let me help you out. 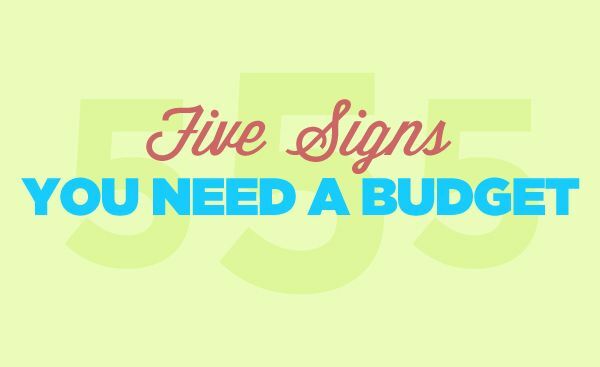 Here are five signs you need a budget. You don’t want to log into Mint and/or your bank account. If you’re afraid to see what you’ve spent as of late, this is a telltale sign of needing a budget pronto. Let me help you out — the longer you wait, the worse it is. So get on into Mint and see the damage that’s been done. And be better. Your savings projection is “Whatever’s left.” You could argue this is the exact opposite of how a monthly budget works. You should first calculate how much you need to save or how much you need for debt pay off and then go from there. Make your budget work for you. After the fixed expenses for the month are calculated, you’re in charge of everything else. So decide what you’re gonna save or pay off each month and then do it. You’re hiding purchases from your SO. Confession: I’ve done this on a small scale. I knew we were cuttin’ it close with our budget one month, but I really wanted the cutest outfit in the whole wide world for our baby girl. So I decided to ask forgiveness, rather than permission, and went for it. If you know your spouse will say it’s irresponsible to buy something and so you do it secretly, this one’s for you. The big asterisk is a gift, of course. Secret gifts are the best gifts. You’ve decided to use the credit card, just in case. If you’re worried about over-drafting, and you therefore pull out the ol’ credit card, you need a budget. The nice thing about a budget and tracking your spending is that you know how much money you have in each account. Using your credit card for budgeted purchases that you’ll pay in full at month’s end (for rewards like free airline flights… woo!) is another story. “We’ll be better next month.” No, no, no. You know you’re not doing well if you say this. It’s just a way of covering up your spending sins for the month. And it’s a way of convincing yourself that next month it won’t matter what you did this month. On more than one occassion, Johnny and I have fallen into this pit. We’ve been about to purchase something that we both know we shouldn’t, but we still buy it. And then the guilt sets in. And then we say to each other, “We’ll do better next month.” This doesn’t happen as much as it used to, but it happens. We no perfect. And so, if you need a budget, don’t fret. It’s a new month! And you can start now. And guess what? Next week’s a new week! And tomorrow’s a new day! And all that good stuff. So now’s as good a time as any to start (or restart) that budget. I remember the days when I would refuse to look at my bank account. I’d end up way in overdraft more often than not. Thank God I had a substantial line of credit, but once I even managed to max that out. Never again! I get excited about new months, too – it’s a great time to look at last months budget and see where improvements can be made. Usually that’s the grocery department for me, as I have everything else down. I view it as a slight challenge to always get better with spending the next month. When we moved two months ago, our spending was pretty high. Never living on our own before, we had a lot of things to get and it hurt! I was so glad when I could finally say we had everything we needed for the apartment. I adore a new month! Nothing beats a fresh start. Sadly, I’ve been guilty of each and every one of these. Happily, it’s been a long time. And that’s exactly why a clean slate feels so good. 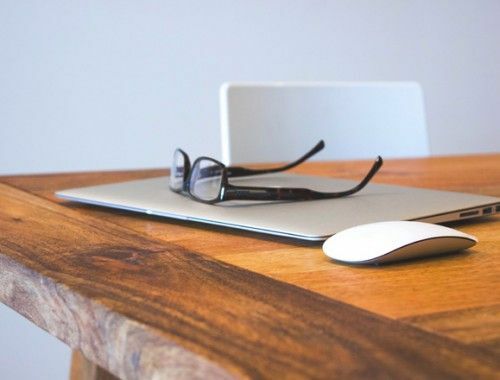 Yep, now is always a good time to start (or restart) – or even revise – one’s budget because no budget is cast in stone but must be regularly monitored. Conditions change over time and so must one’s budget. 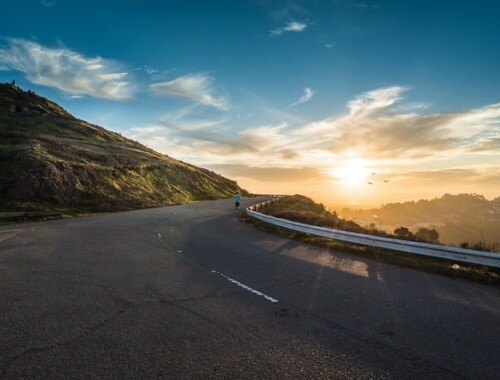 It’s like steering a ship or a plane on a long journey – intermittent course corrections are always required in order to successfully meet one’s desired destination (or goal). This is why I not only have a budget but also record it over long periods of time, tracking and watching for trends and annual expenses. That way gradually the budget gets more accurate to reality and is easier to manage and live with. At least that is how I’ve found it over the years. Great thoughts about the beginning of a new month. I think point 1 is very important. Ignoring account information does not make bad things go away. I challenge myself to do a short review everyday – helps lessen the pain. Budgets are great for living an easier life, because then you know exactly how much money you have to spend on this and that. Somehow it´s always easier to start a new budget in the beginning of a new month. Thank you so much for writing this blog! I’ve been following it for a month now and I absolutely love it! It’s giving me such great ideas to get my family’s finances in better shape and inspired me to do better. Thank you so much! Thanks for the kind words, Courtney! Best of luck and keep on keeping on with your goals. And we’d love to hear your progress and how you’re making things work with your family. Oh man. I totally need a budget. We just moved too and spent way more than we wanted to on things like paint and storage solutions and stuff to make the girls’ room cute (and somehow then make the move easier for them?). We totally need to clamp down and get our stuff together because just about every one of those signs up there are TOTALLY happening right now. Eeeeeeesh. Moving is always rough on the ol’ budget. No better to jump back on the horse than the month after — which is exactly what we’re doing. I need to RE-budget! Yeah!! Great inspiration. I also love the start of the month because it’s when I set my month long challenges. This month is “shredtember” which is health related goals. Fortunately, I’ve got a system for my savings so I always save the same amount each month which is roughly 50% of my income. My problem is getting the other 50% in the right spots! I would like to figure out a way to save more…since I have a lot of pointless waste mixed in there. Ouch. Just found your website and this hit a nerve with me, very close to home. I’ve been thinking I’ve been “budgeting” but I really need to buckle down and ACTUALLY do it. The only thing that’s hard is that I get paid biweekly on an hourly basis… Should I budget for AT MOST the 40 hours I’m absolutely going to be paid, and anything I make overtime (I normally do, but the hours vary based on my lunch times or errands I need to run weekly) should go towards debt payments or savings? I’ve learned that my parents, while pretty good with their money, did NOT pass down that wisdom to their kids, and we three have been scrambling to learn what should have probably been taught to us growing up. It’s left me with some debt, for sure. Johnny and I budget for the money we know we’re going to make. That way, we’re sure to both spend within and save within our budget each month. 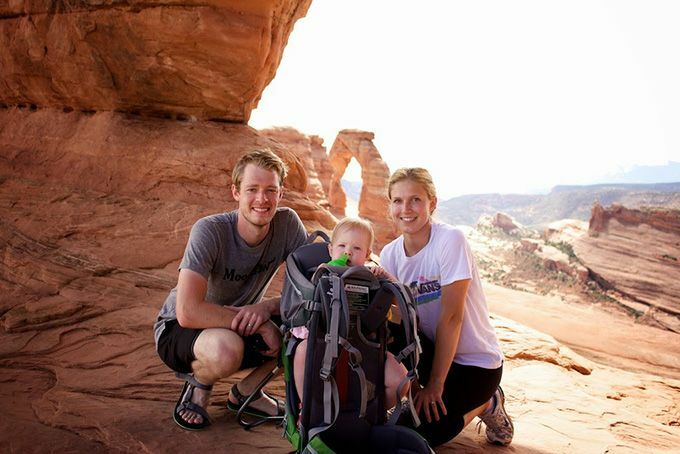 Johnny and I received no financial guidance, but we’re proof that it’s possible to figure things out on your own! Keep on keepin’ on, Kelsey!